Recently I got scam-spammed on Facebook by reposting an entry on Amy Winehouse’s death stating that it was getting more media attention than several soldiers who were killed in action. I should know better, right? Maybe you saw it, too? Oops. Sorry! How did I find out? Shortly after I posted, I received an email from a friend that said it was an inaccurate message. The exact same message had circulated about a year earlier using Lindsay Lohan’s name. That got me mad enough to write this blog. People need to know how insidious spam has become. Chuck Anastasia has done a nice job researching and straightening out the facts. What I learned from this incident was that in the future before I repost anything, especially posts honoring our fallen soldiers, I will check them out first. 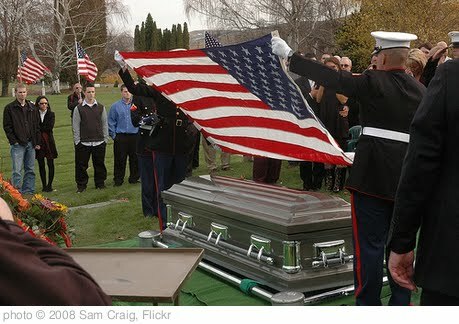 The great disrespect these soldiers’ families have experienced and the great pain caused to them is horrible. Increasingly, social networks are experiencing viral marketing tactics that use embedded links that cause great harm to ever larger groups of people. They lure people to click on these links in many deceptive ways, some will say a person is missing and to click on the missing persons flyer, some say your system has a worm virus called “insert name of horrible sounding virus here”, some use a celebrity breaking news item, some use the lure of checking out ‘who’s checked your profile on Facebook’, etc. Similar links can be embedded in quizzes, games and apps. After the individual clicks on one of these embedded links a variety of things can happen. Some will take control of your address book and send malicious messages to your friends and some will download viruses, spyware or Trojan horses right onto your computer. Plus, there are other tricks that these spammers employ. If you are asked to “Sign Back into Facebook” beware! This is a sign that they are phishing for your password. Legitimate sites, using Facebook Connect, will open a new window with the URL starting with ‘facebook.com’. Do not type in your password using any other domain name. If you are asked to connect to an app and you are unsure of it, simply ‘deny it’ or ‘leave App’. Where should you check first? 1- My first spam, scam, fraud and urban legend point-of-reference is Snopes.com. They have a treasure trove of information categorized on most everything. If the story is true, they say so. Although they didn’t have the Amy Winehouse on Facebook story yet, I still use them often. 2- I plan to continue checking Coolsparks, Chuck Anastasia’s blog. The comments from the Lindsay Lohan blog, posted over a year ago continue to come in. 3- About.com does a nice piece called Urban Legends. Next week, for part three of this four-part series, I’ll talk about “Sorting Out Spam Comments in your Blog”. If you missed last week on recognizing spam, click here. Hope to see you then. Thank you for visiting.